Customized Travel Lift Includes Small Travel Lift Heavy Duty Travel Lift Cheap Travel Lift Great Choice For Boat Lifting! Customized travel lift can mostly meet customers’ practical needs and requirements. 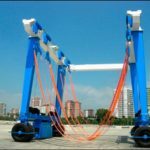 This kind of travel lift crane is the most suitable choice for customers. It has reasonable design and terse structure! Other details about boat hoist can be customized, such as lifting tons, electric motor, safety protection devices, lifting belts. Ellsen Group, one of professional travel lift suppliers in China, provides customized travel lift for sale, such as construction travel lift, wharf travel lift, boat hoist for water sport meetings, aquatic clubs and voyages, ISO approval marine travel lift for sale, remote control boat lift crane, cabin control boat lift hoist, all-wheel steering travel lift and other types. Want to increase efficiency? Wan to save cost? Want to improve working condition? 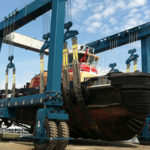 Purchase great mobile boat lift crane from Ellsen! How to buy suitable customized travel lift? 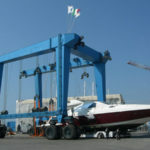 Choosing customized service means choosing suitable boat hoist. Every product is designed and produced according practical needs and requirements. 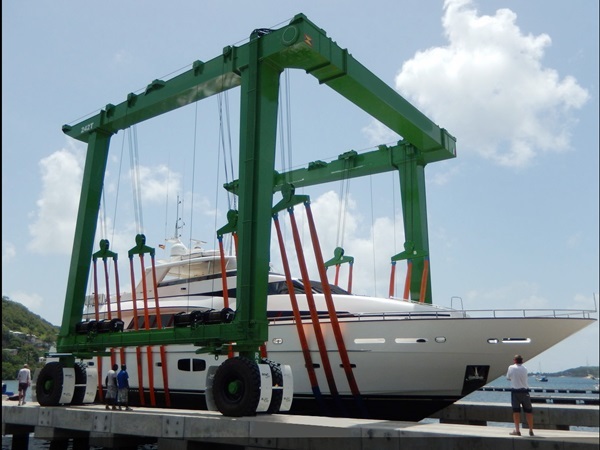 How to choose suitable type of marine boat hoists? This needs some skills. 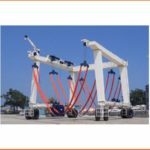 First, according to lifting capacity, travel lift crane includes light duty boat hoist and heavy duty boat hoist. 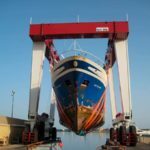 Small boat hoist has 10 ton travel lift, 25 ton marine travel lift for sale, 35 ton boat hoist for sale, 50 ton mobile boat hoist. 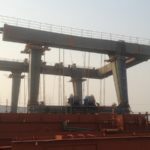 High lift capacity travel lift has 100 t marine travel lift for sale, 500 ton mobile boat lift gantry crane, 1000 ton marine travel lift for sale. 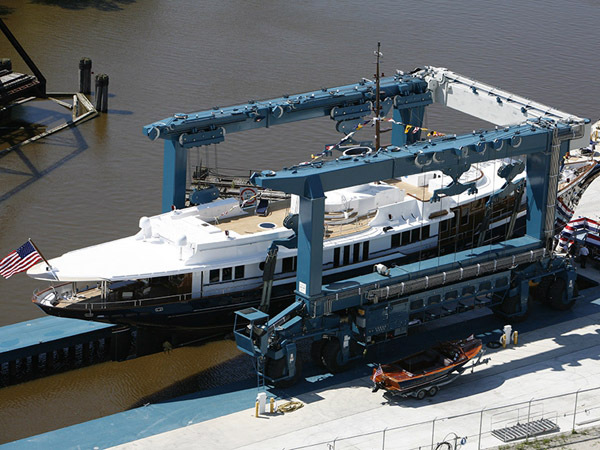 Second, for operation ways, boat hoist includes remote control travel lift and cabin control travel lift. Remote control makes long distance operation convenient. Cabin control makes the operator moves along with travel lift. Both of these two operation ways can ensure operator’s safety. Third, choose travel lift with complete safety protection devices. 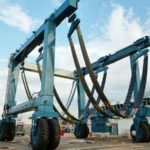 These devices can avoid accident, reduce failure rate, increase safety level and prolong crane’s service life.